If you’re seeking a true multi-purpose WordPress theme that has a strong focus on creating ecommerce stores, then Porto could be just what you are looking for. Thanks to Porto’s growing library of demo versions, no matter what type of website you’re building, there should be a pre-made design that’s right for your project. The ready-made demo websites of Porto cover a range of project types. However, many of them have been created to help you build a professional business website with WordPress. Furthermore, if you are in the process of setting up an online shop, then the selection of ecommerce demos should appeal. However, you’re not by any means limited to the demos. Thanks to the customization tools, options, and settings of Porto, you get plenty of creative freedom when it comes to setting up your website. If you like the sound of a flexible business-focused WordPress theme with a good level of ecommerce support, read on to find out if this template is right for you in our hands-on Porto WordPress theme review. As mentioned in the introduction to this Porto WordPress theme review, if you’re designing a new business website or giving an existing site a refresh, Porto has been created just for you. Porto has full support for the leading WordPress online store builder plugin, WooCommerce. Whether it’s an agency website you’re working on, a corporate homepage, a law office site, or a range of other business-related projects, Porto has a good selection of pre-built demos to choose from. Furthermore, if you want to sell products from your website or create an ecommerce store from scratch, Porto has full support for the leading WordPress online store builder plugin, WooCommerce. That’s not all, though. Porto includes a number of ecommerce demos that would suit a range of products and brands. You’ll have no problem tweaking the demo versions to better meet your needs. The appeal of Porto doesn’t stop there. With plenty of customization options at your disposal, you’ll have no problem tweaking the demo versions to better meet your needs. Alternatively, unleashing your inner creativity to design your own layouts from scratch – even if you’re new to WordPress or have no coding experience – shouldn’t be a problem either. If the above describes your project requirements, then there’s a good chance that Porto could be the theme you’re looking for. However, if you’d like to know more, or you’re not really sure what you’re looking for, read on to find out exactly what Porto has to offer in the features section of our Porto WordPress theme review. With a focus on business and corporate projects, it’s essential that the demo versions of Porto have a professional appearance. However, it’s also vital that they feature enough flair to ensure the designs never feel stale. The appearance of Porto and its demo versions are suitable for the most serious of projects. Thankfully, Porto succeeds in this department. This is due to a number of reasons. Mainly the use of a clean and modern design, combined with optional animated slideshows and other eye-catching effects, help to ensure your website will have the right look and feel. The appearance of Porto and its demo versions are suitable for the most serious of projects. However, they still offer enough to make this theme a good choice for more contemporary and playful brands. Especially those who want to connect with their audience through quality design. 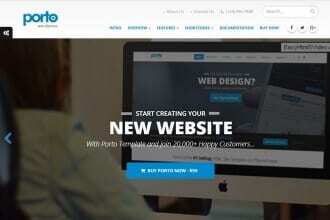 As Porto is a multi-purpose WordPress theme, it includes a number of ready-made demo versions. The aim of these demos is to help you get your website up and running as quickly as possible. Because the Porto demo versions cover a range of styles and layouts, you’ll have plenty of options for how your website will look. There’s certainly a design theme and style that runs through the Porto demo versions. However, each design is different enough to ensure they will suit a range of project types. So, if you’re creating an agency, corporate, law, shop, or hosting website, then you should be able to use one of the pre-made demos that fall into these categories. You aren’t restricted when it comes to getting your website to look how you want. However, that’s not to say that those demos can’t easily be repurposed for other types of projects. Thanks to the customization options and flexibility of this theme, you aren’t restricted when it comes to getting your website to look how you want. This theme also features multiple ecommerce demos that are ready to go. In addition to this, there’s a good selection of slightly more generic demo versions to choose from. Thanks to their less focused designs, these non-specific demos would be a good match for most types of types of websites and blogs. 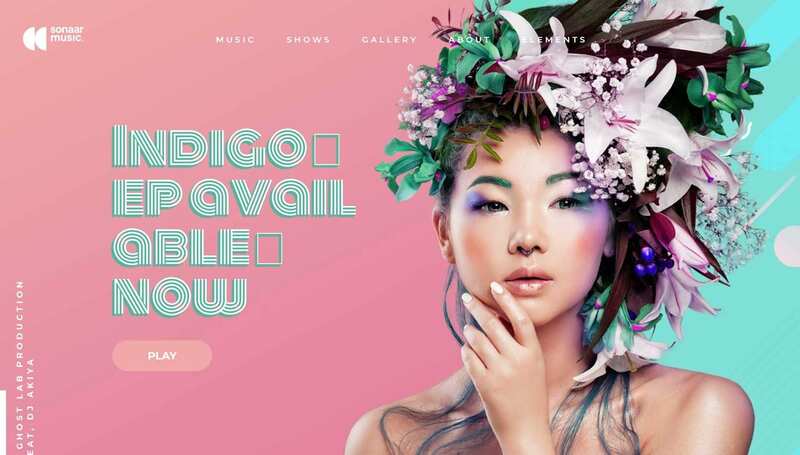 One area where Porto stands out from the multi-purpose theme competition is that it includes a good amount of options for creating an online shop. Porto doesn’t just include a selection of templates for all the essential pages of an online store. This theme also features multiple ecommerce demos that are ready to go. 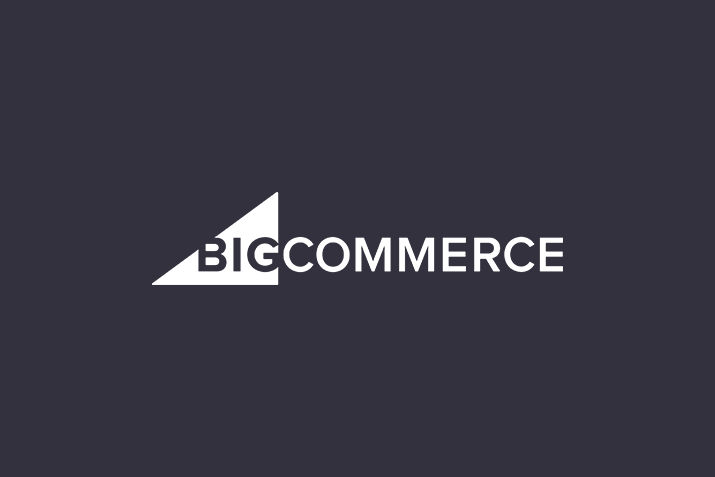 Like the regular demos, these ecommerce theme demos cover a range of shop types. This includes fashion, technology, digital products, furniture, and more. Importing the Porto demo content is straightforward and only takes a few clicks. There are also more general, non-specific ecommerce demos and templates to choose from. More good news is that each of these demos and templates can be easily tailored to better meet your needs. Importing the Porto demo content is straightforward and only takes a few clicks. The dummy content, widgets, and slider content are included in the import. This helps to ensure your website is ready for your own content in no time at all. It’s up to you to decide whether to import the demo content and use one of the pre-made website layouts or not. However, whatever your decision, you’ll still get a great deal of control over how your website looks and functions. One of the impressive features of the Porto theme is the 18 header designs you can choose from. Thanks to the detailed theme options control panel, you can customize almost every aspect of your website. This all takes place through a set of visual controls. This dashboard covers everything from page layouts and header types, through to social media integrations, and custom error pages. One of the impressive features of the Porto theme is the 18 header designs you can choose from. No matter which of the pre-built demos you apply to your site, you are still free to select the best header type for your project. Again, this customization takes place through the theme options control panel. Customizing the fonts and typefaces used on your website is just as easy. The typography section of the options panel lets you choose which fonts are used for each of the main text formatting styles on your website. This includes the body text and various header styles. Thanks to the Google Fonts integration, there’s an impressive 600+ typefaces to choose from. Setting custom colors, background images, and styling for many of the individual parts of your website is also possible through the theme options control panel. Porto is a WordPress theme with an ecommerce focus. This is reflected in the theme options control panel. Through the dashboard, you can customize many of the online shop properties of your website, in just a few clicks. These ecommerce settings cover the product display layouts and the format of the individual product pages. You can also decide whether to enable the cross-selling feature, plus many color customization options. Porto also includes the premium Visual Composer page builder plugin. This drag-and-drop design tool allows you to create custom layouts for your posts and pages. There’s also a good selection of ecommerce-focused Visual Composer elements included with this theme. These layouts can then be populated with the Visual Composer elements. The Ultimate Addons pack for Visual Composer is also included with Porto, adding even more elements to your site. These elements cover a wide range of uses, including sliders, galleries, video players, pricing tables, and a lot more. There’s also a good selection of ecommerce-focused Visual Composer elements included with this theme. Any of these elements can be added to your layouts, through either the front or back-end builder interface of Visual Composer. The flexibility of Visual Composer makes it easy to create the kind of layouts for your content that just wouldn’t be possible with WordPress otherwise – at least not without some serious coding skills. The addition of this drag-and-drop builder plugin provides you with a lot more scope for customization, whether that’s of the pre-made demos and layouts, or your own page designs. As you can see, Porto certainly isn’t lacking in features. From pre-made demos through to customization options, this truly is a flexible WordPress theme. However, Porto has much more to offer. All of the above, plus more, is available as part of the Porto WordPress theme package for $59. Selection of pre-made slideshow layouts. Mega menus with custom background images. Multiple content and sidebar layout configurations. Multiple ecommerce store and product layouts. Built on the Bootstrap framework. Fully optimized for mobile and retina displays. Light and dark color skins. All of the above, plus more, is available as part of the Porto WordPress theme package for $59. This price includes 6 months of support. However, this period can be extended to 12 months for an extra $17.70. You also get lifetime access to updates of the theme and the premium plugins included in the package. This price is towards the lower end of the premium WordPress theme-pricing spectrum and short of joining a theme club, is one of the most cost-effective ways to purchase a new theme for your website. Although there are countless multi-purpose WordPress themes to choose from, Porto does a good job of standing out from the crowd by including a good level of ecommerce support. This support comes in the form of a range of professional online shop homepage demos and a selection of templates for the core pages of your ecommerce store. There’s no reason not to choose Porto for your project. However, even if you’re not building an ecommerce store with WordPress, Porto has plenty to offer. The growing library of pre-made demos is very impressive, as is the detailed set of theme options and controls. Having the popular Visual Composer page builder plugin to turn to doesn’t hurt either! 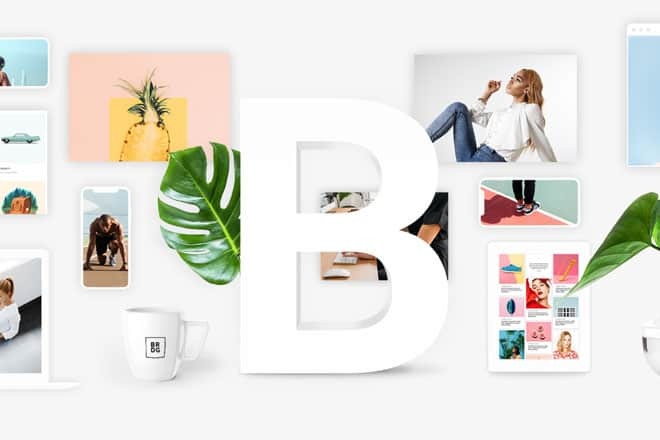 With so many multi-purpose, demo-packed WordPress themes to choose from, you really are spoilt for choice in this category. However, if the ready-made demos and layouts of this theme match up with your vision, then there’s no reason not to choose Porto for your project. Great selection of pre-made demos and layouts. Detailed theme options control panel. High-quality drag-and-drop page builder plugin. Lots of completion from other multi-purpose themes. Not much support for the WordPress Customizer.